It feels as if Orwell has been with me all my life. Although memory is an unreliable guide, I recall my father reading Animal Farm to me as a boy. He was a Conservative voting Vet, but one who subscribed to The New Statesman and was passionate about the Republican cause in the Spanish Civil War – so explained the story as political allegory as we went along. As a teenager I read 1984, Keep the Aspidistra Flying, Wigan Pier, Homage to Catalonia. By the time I started work as a journalist on small weekly newspapers it was Orwell’s essays that guided me – particularly, of course, Politics and the English Language. Later, I undertook a part-time MSc at Birkbeck with Bernard Crick and Ben Pimlott, at the time Crick’s biography of Orwell was published, so he was a constant topic of debate. And today, Orwell feels more relevant than ever as we grapple with the “post-truth” era, with supposedly “non-linear” politics, and with the reality and tensions of a surveillance society. As Christopher Hitchens wrote in “Why Orwell Matters”, what he illustrates, by his commitment to language as a partner of truth, is that “views” do not really count; that it matters not what you think but how you think – and that principles are more important than politics. In today’s confused and nervous society we need his voice as much as ever. 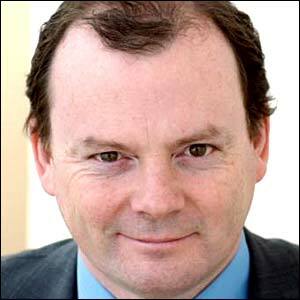 Richard Sambrook is professor of Journalism and Director of the Centre of Journalism at Cardiff University and the former Director of BBC Global News. He was a judge for the 2015 Orwell Prize for Exposing Britain’s Social Evils.